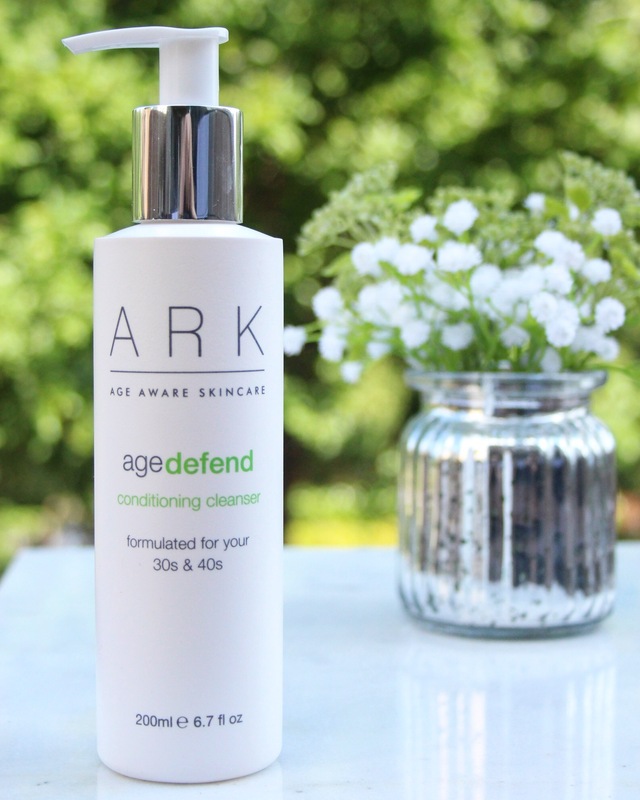 With buzz words like ‘award-winning’ ‘age-intelligent’ and ‘cruelty free’ how can you not be intrigued by ARK Skincare? 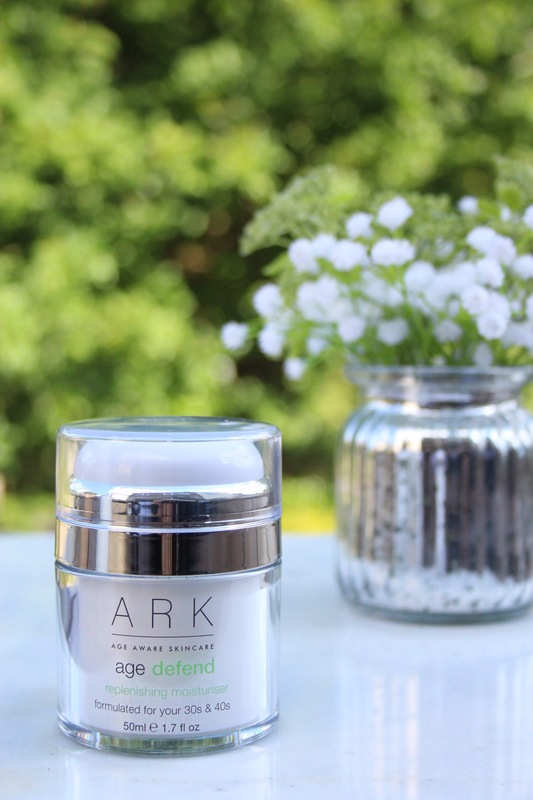 What excites me about ARK Skincare is that the brand has been developed to deliver age intelligent formulas to complement and enhance skin for the age you are. I first began taking my skincare regime seriously in my mid twenties. There were so many beauty products available, I felt bamboozled by it all. My desire to pre-empt the ageing process meant I was spending a large chunk of money of skincare products I didn’t need. In hindsight, I now know that my skin was far more resilient in my 20’s and products rich with collagen-stimulating ingredients, for example, really shouldn’t have been part of my routine. Now that I am in my thirties, I’m ‘listening’ to my skin more and it’s great to know there is a skincare brand which caters specifically to the age I am. They also offer a selection of treatment products in their skinperfectors range as well as everyday products (similar to a capsule wardrobe but for your skin) in their skinessentials range. 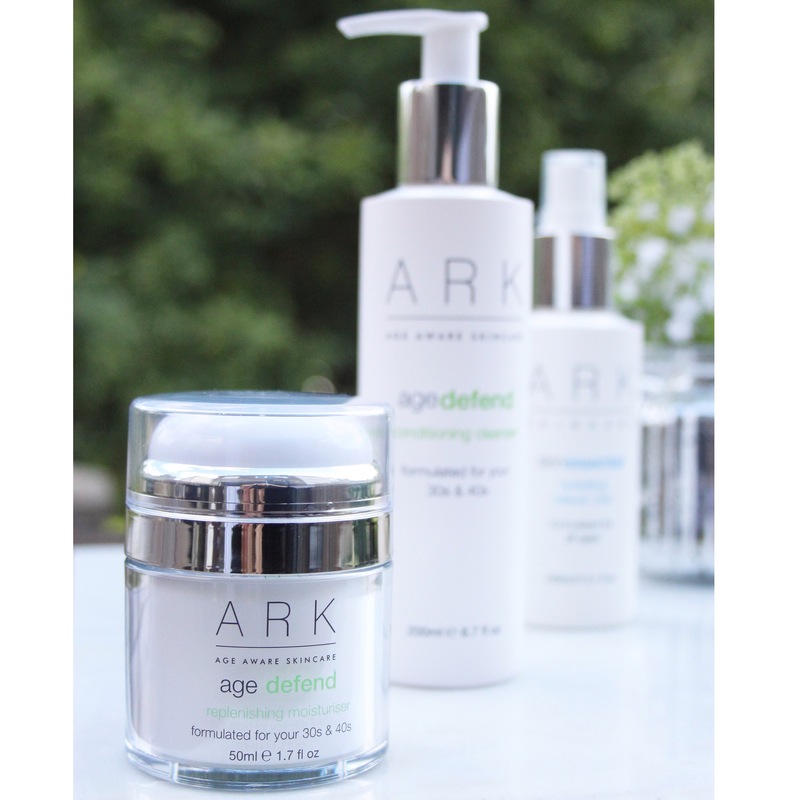 The 3 products I was gifted came from their agedefend & skinessential range. In comparison to other oil based cleansers I have previously used, the consistency of this really surprised me (in a good way). I don’t wear a lot of make up day-to-day so the cleanser removed all traces of my makeup without the need for a double cleanse (having said that I would always recommend a double cleanse). Packed with ingredients like Moringa Oil rich in Vitamin A and C, this cleanser left my skin feeling clean, plump and ready to absorb the next layer of my skincare. NOTE: Although Moringa Oil may have exfoliating properties don’t expect grains in this cleanser. 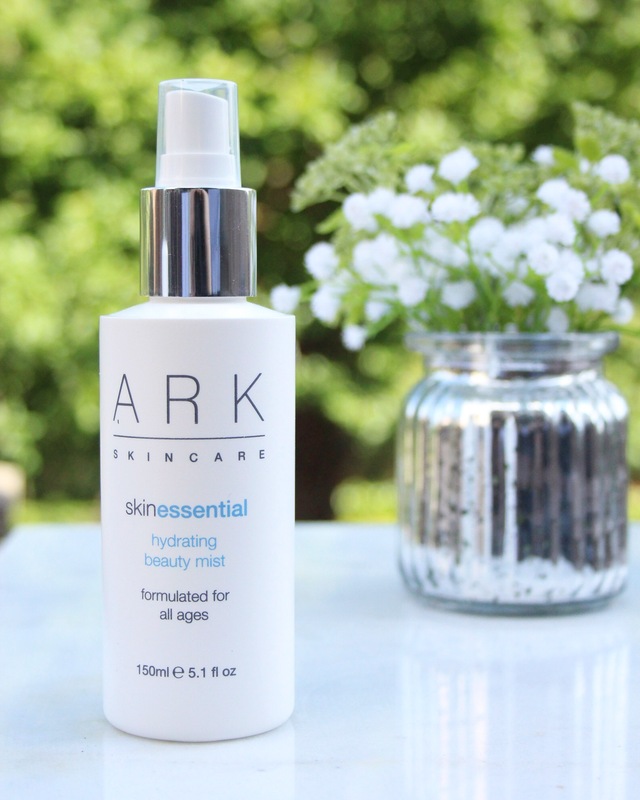 The Hydrating Beauty Mist was a pleasant addition to my skincare routine. I am absolutely in love with the fresh minty smell of this mist. Initially I only used the mist in the evenings after cleansing and before moisturing to provide my skin with another layer of hydration. A few days later I started applying the mist after applying my makeup (I use a powder foundation) for a fresh dewy look. My skin literally couldn’t ‘drink’ it up quick enough. This is a real winner for me, so much so that I took it on holiday with me to Belgium. We drove from Belgium to Luxembuorg and back via France to London in 32 degree heat. I can honestly say that on that day my quick draw with this mist would have impressed any cowboy in a Western shootout. The container has an airless pump which means it delivers the exact amount of product needed every time. I tend to overdo my moisturiser which usually leaves me with a lot of excess product which my skin doesn’t absorb. My skin felt nourished but not greasy which has sometimes been the case with other moisturisers I have tried. Ingredients include Shea Butter, Olive Oil, Blue Lotus and Kiwi and Passionfruit lipids. Overall I really enjoyed the products. The Hydrating Beauty Mist has definitely won a place in my daily routine! 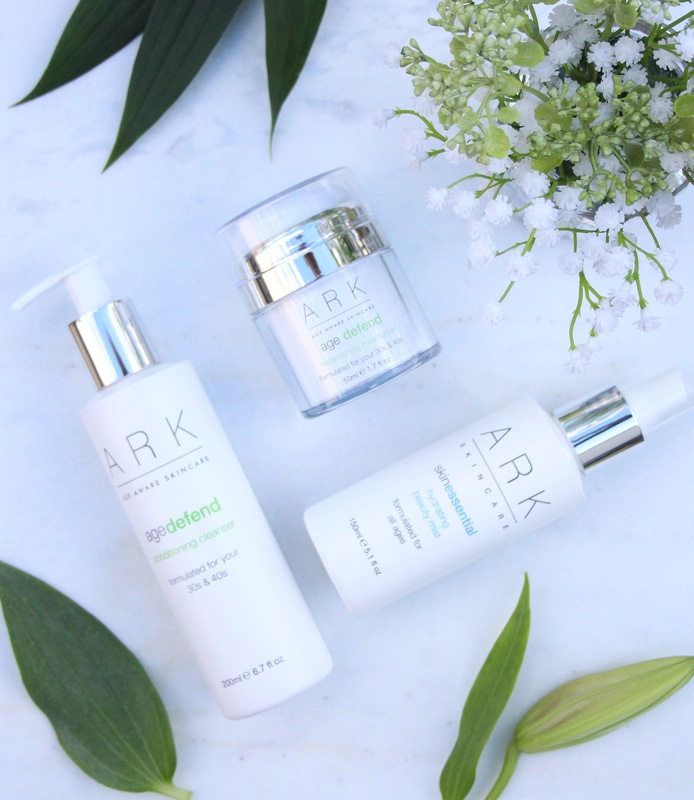 If you would like to find out more about ARK Skincare you can find them here. For the purpose of this review I was sent free products to try. All opinions are my own. Great review! Also, I really love the photos. They’re beautiful. Thanks for sharing your thoughts. Definitely worth checking them out as a brand. I think I may try the pre-cleanse and one of their serums next. Sounds like a great line! I would definitely be in the “age defend” category!! Love their packaging also. I’m intrigued by the airless pump feature on the moisturizer. I like the idea of getting the right amount each time. The airless pump is great. I was really intrigued by the ageintelligent technology. It’s worth checking them out. 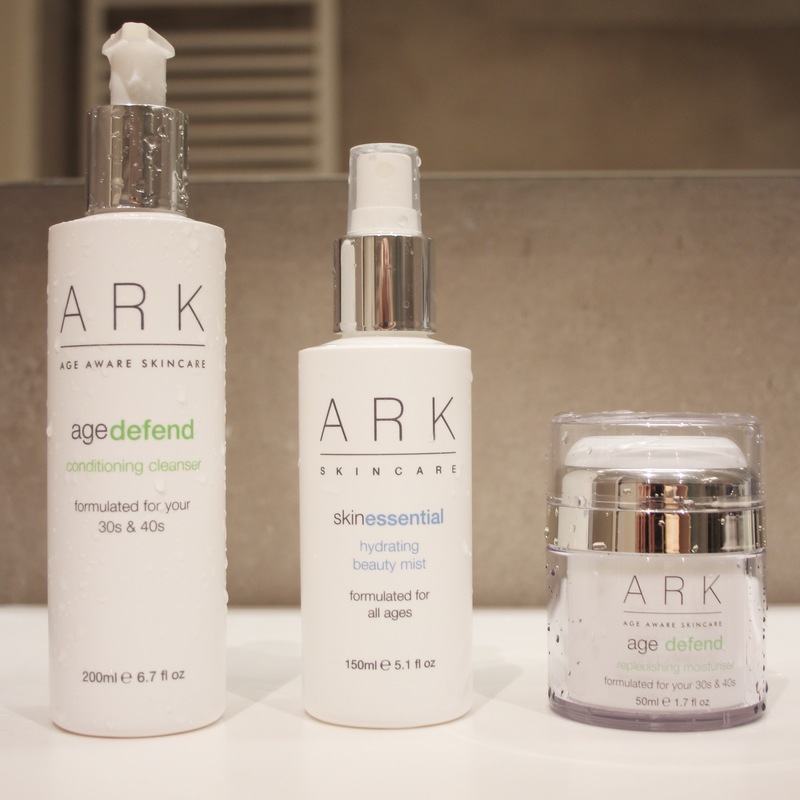 I’ve never heard of ARK Skincare before, but this is such a cool concept for a skincare brand! Thank you for the informative review – I’m going to hop on over to their website to check out some of their stuff!